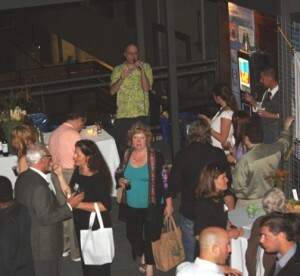 Three great organizations came together in October for our second annual joint event to socialize and network. We had 90 in attendance and an atmosphere that was perfect for making new connections. Delicious local foods and deserts were provided by Spoon & Co. and Theo Chocolates. 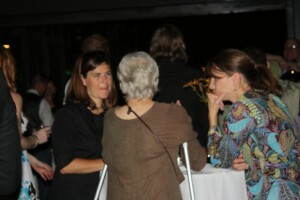 Great beverages were provided by Live Oak Brewery, Sesa Tea, Maine Root and Greater Texas Water Company. Special thanks to Green Fern Events for helping recycle/compost and host a green event and to e3 Properties for sponsoring the event! Texas Green Network is the first sustainable business chamber-of-commerce in Texas. We are a community of Texas businesses, organizations and individuals committed to accelerating the adoption of sustainable best practices in the way we do business. Built to influence many aspects of the environmental impact of business, TGN provides a broad forum for networking, promotion and collaboration, including our monthly meetings, website and online member directory, newsletter, forums and other developing channels. Austin EcoNetwork is the most trusted and up-to-date source of information about what’s going on with Austin and the environment. 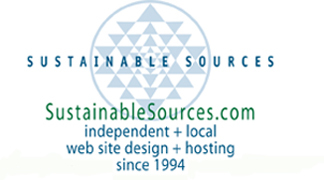 Website and free twice-weekly newsletter that keeps thousands of people up to date about green events, news, volunteer opportunities and educational programming. Eco Series is a grass-roots effort that stemmed from our passion for enhanced understanding and the search for solutions to some of mankind’s most pressing issues: climate change, energy independence and sustainability.